The Halloween candy has arrived. We live on a steep hill and don’t get trick-or-treaters because kids are lazy little buggers these days. 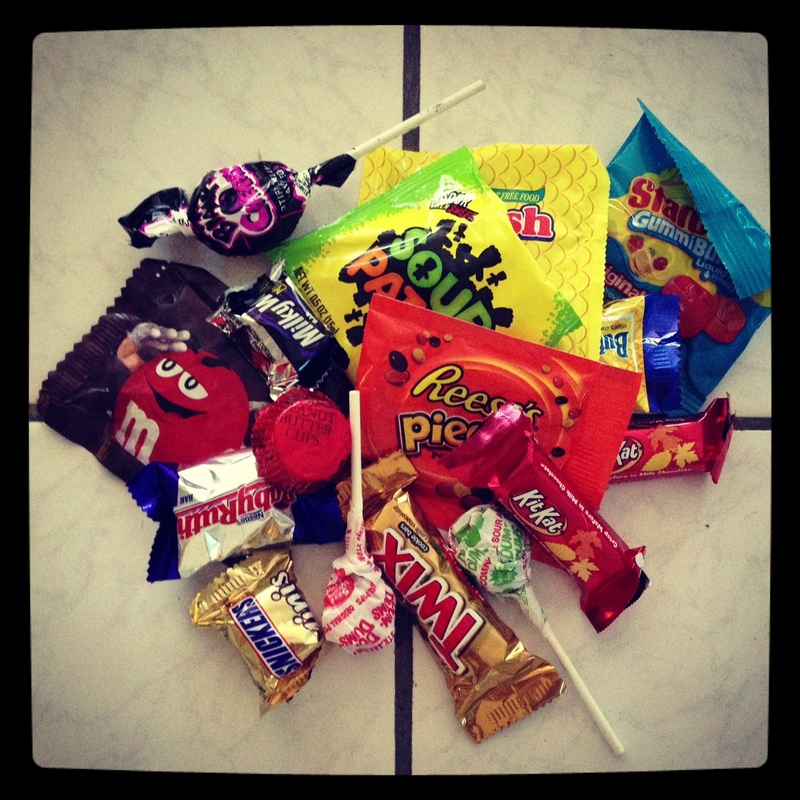 I don’t have a good reason to have the candy in the house, and am glad to not have to waste money on it. Although yesterday I saw mini bags of Pirate’s Booty and made a mental note. Happy gluten-free Halloween, kids. Last night we went to a Halloween festival at my son’s school. It was adorable, but I let the stress of getting dressed and out the door get to me. Then I spent the whole time chasing them in opposite directions. The Power Ranger insisted on going in the haunted house which is hilarious because he often gets scared watching Dora. The butterfly just wanted to play in leaf piles. I got into self-pity because my husband has been working so much these last two weeks. I expertly turned the Halloween festival into, “OH MY GOD I ALWAYS HAVE TO DO EVERYTHING ALL BY MYSELF!” I’m awesome. Anyway, we came home with the first Halloween candy of the season. It’s only noteworthy because I really don’t give a crap. I don’t want to eat it. I look at it and see chemicals and diarrhea. Sorry. Since reading It Starts With Food, this type of highly-processed stuff doesn’t appeal to me. And since my Whole30, well I’m pretty sure that even a little of that stuff would end in zits and an upset stomach. If I wanted to fall head-first into a sweet binge, I’d probably take the time to bake something so I know what’s in it. I now am so aware of the consequences of my choices. And since I’m not drinking, those consequences are a lot more uncomfortable than they used to be. How are you feeling about the Halloween candy? Hi, I found your blog through the sobersphere. We don’t celebrate Halloween here (in Australia) but in recent years there has been a push to introduce it. I’m standing firm, the last time I checked Australia wasn’t one of the states of the U.S. so I’d like to keep Halloween out. Thanks for commenting. 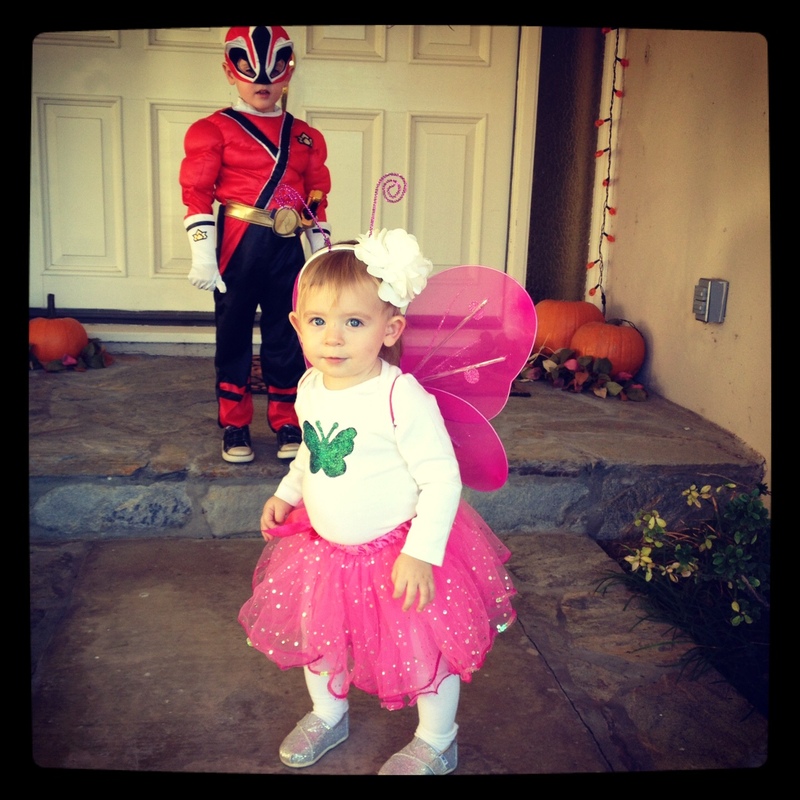 The costumes are fun but I could do without the sugar OD for the kids. In my younger days it was a black-out type of drinking occasion. I’ll take the candy over that!